The department has asked its engineers that gaps on any flyover should be attended to immediately, to ensure safety of motorists. 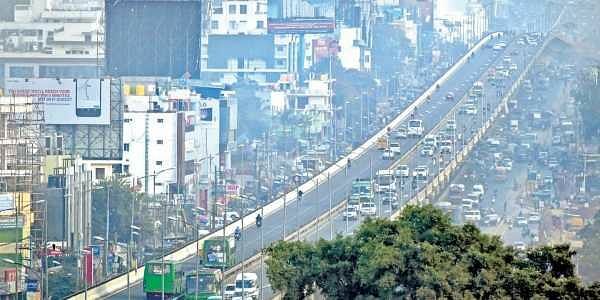 NEW DELHI: The Delhi government's Public Works Department has directed field-inspection of all its flyovers in the national capital, days after gaps were detected on the Lajpat Nagar and Akshardham flyovers. Last month, a 10-feet-long and eight to 10 inches wide gap was detected between one of the five girders at Lajpat Nagar flyover, prompting the Delhi traffic police to advise two-wheelers to avoid the stretch till it was repaired. The repair-work lasted for around a month. Earlier this month, Akshardham flyover had developed a crack. "In view of the cracks, the department has directed that all its flyovers should be inspected by field officers to check expansion joints and bearings. Besides, gaps on any flyover should be attended to immediately," an official said. Gaps on flyovers occur due to contraction of girders during winters. Girders made of reinforced concrete normally contract in this season and expansion joints are used to fill the resultant gaps, the official said.